Queen of Shadows - in the top spot, naturally. I need this book like air, like water, like food and love. It's been preordered since the day it's got it's cover - on my birthday, no less. Hello. My body is ready. I'm not sure about my heart and my soul though, they're equal parts excited and terrified, considered how Crown of Midnight and Heir of Fire destroyed them, but I'm counting down the days for this one all the same. The Raven's Prophecy Tarot - Ok, so I know that technically, this isn't a book. But I *had* to add it in here, in lieu of The Raven King which was sadly pushed back to next year. *sobs* No but seriously, I'm more than willing to wait for the perfection that the conclusion of The Raven Cycle will be...but at the same time, 2016 seems so far away. So I need to console myself with the Raven's Prophecy Tarot deck. Last Ever After - The conclusion to The School for Good and Evil is definite must-read for me. Despite the few issues I had with the series (especially the first book) I've whole-heartedly enjoyed Sophie and Agatha's adventures - especially considered that killer-ending in book 2. I can't wait to see how everything will wrap up for these girls! Circle of Stone - Granted, I read the first in this series, The Bell Between Worlds, when it came out in 2013, but I wasn't sure until recently if the planned sequel was actually going to come out. I reached out to the author on Twitter and he gave me the good news that it was in fact expected for July of this year! Now I'm counting down the days until I can continue on with this imaginative middle-grade story. 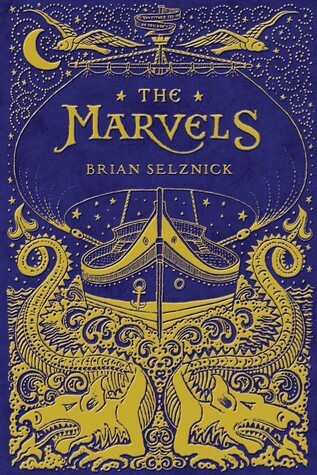 The Marvels - Admittedly, I have yet to read any of brian Selznick's previous works, even though I own The Invention of Hugo Cabret and Wonderstruck is on my tbr shelf. Nevertheless, this new offering is really appealing to me and as always, it has stunning illustrations that just draw you in! Walk on Earth a Stranger - I still need to read Rae Carson's Fire and Thorn series but I own the first book and I WILL get to it soon. That fact didn't stop me from getting rrreeeaallly interested in this one with it's unique take on magic and it's unique historical premise. Soundless - Granted, I've only read one book by Meade, and I didn't have the best luck with it. It was good, just not as good as I'd hoped. Still, I was impressed with her creativity and writing style so I guess it's not surprising that Soundless caught my eye - it's about as unique a premise as they come! I'm really eager to dig into this one. Are you dying to get your hands on any (or all) of these? This is the second time I've seen Walk on Earth a Stranger. It sounds so intriguing. I'm going to take that as a sign I need to add this to my list. I can't wait for Soundless either! I have an eARC of Walk on Earth a Stranger and I'm really excited about it! I need to catch up on The Lunar Chronicles and Throne of Glass. Great list! QoS and Winterrrrrrrrrrrrrr \o/ Can't wait! Queen of Shadows and Winter for sure!! I finished Soundless and loved it!! I'm hoping to read Walk on Earth a Stranger soon but I'm probably going to be pre-ordering too hehe. Oo! Thanks for reminding me about Walk On Earth a Stranger! :) Winter made my list this week, too. :D Great list! Great picks! I am so excited for Winter and Queen of Shadows! I think those would be my top two. I may have already started reading Marvels and Soundless. And they are both pretty amazing so far. I picked them up at BEA and began reading them immediately, but then needed to be social. I love all things Brian Selznick. I think you'd love his other stuff too. Oh, and the date for Raven King is so far away! I completely understand the need to add what you did. Queen of Shadows FTW!!! The Raven King would have been #1 on my list, but ... *sniffles* I think I'll also console myself with a nice copy of The Raven's Prophecy Tarot, hehe. ~Kaitlin @ Nex Page Please! Great list that has me wanting. I finally just finished Scarlet and will be reading Cress soon. 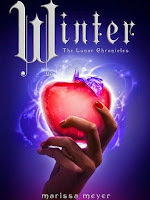 I am loving my time spent with The Lunar Chronicles and will be ready for Winter's release. Yes! Queen of Shadows! I cannot wait to devour that book. It is going to be amazing! Awesome list! Winter tops of my list of books I'm still waiting for to be released, Micheline. I'm also pretty excited about Walk on Earth a Stranger. I've always been curious about the School of Good and Evil (I love the covers!) Is it more middle grade or YA? I am ready for all the glory and pain that is Queen of shadow. Winter is also going to be epic with all its 800 pages. I ran out of room, but I definitely agree on Soundless and Walk the Earth a Stranger!